So the Sneaker Scene is such a diverse one and right now there is so much creativity coming from all angles and from all over the globe. 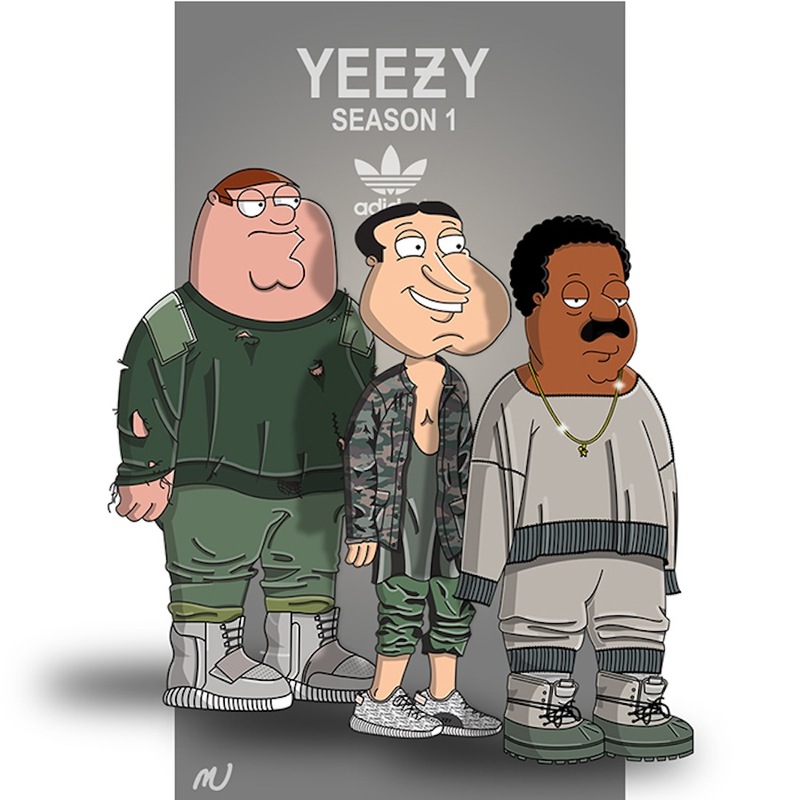 So we caught up with an amazing illustrator responsible for the amazing Family Guy x Adidas illustrations so here’s a little insight into his world…. TWOTF: Tell us about your art how would you describe what you do? 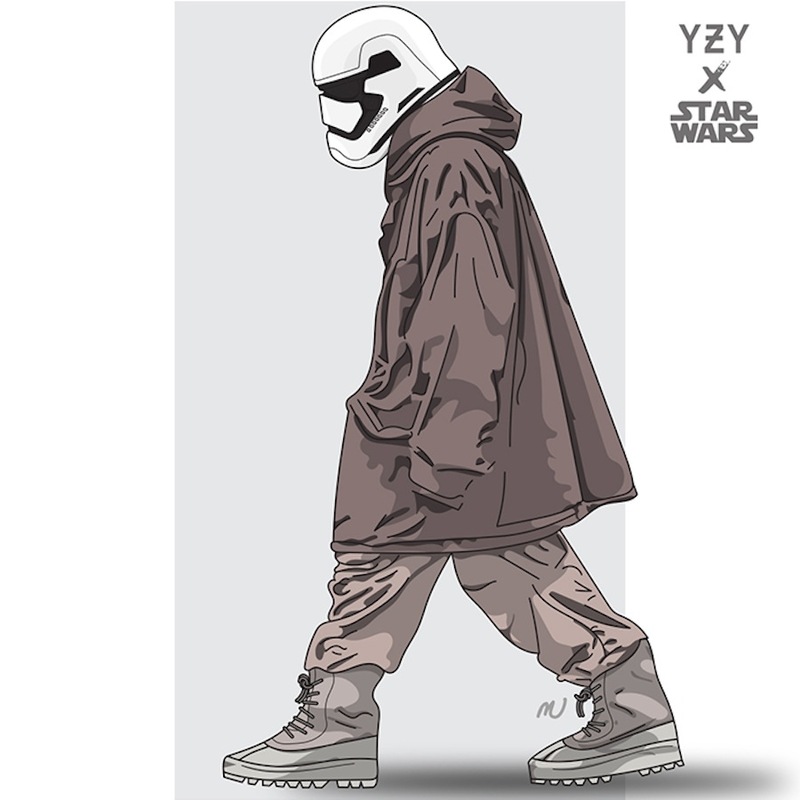 TWOTF: Why did you decide to mix sneakers with well known film and cartoon references? 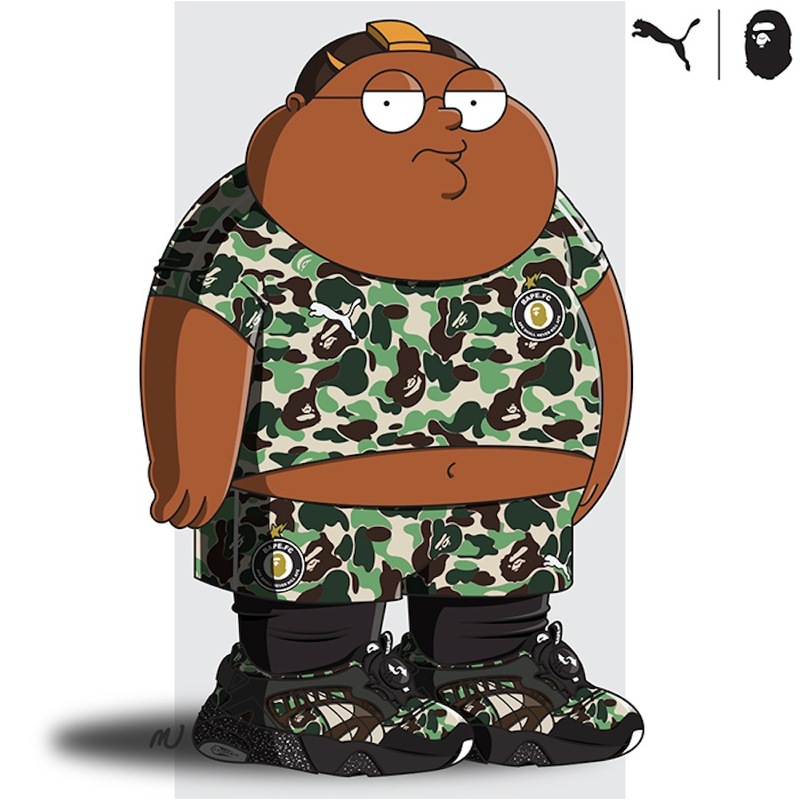 Mikadololo: I like fashion, sneakers, hip hop culture and sometimes I just want to put popular characters, like the Stormtroopers or Peter Griffin (Family Guy), and dress them in an outfit that they would never wear in any situation and the result is something of an improbable subject. 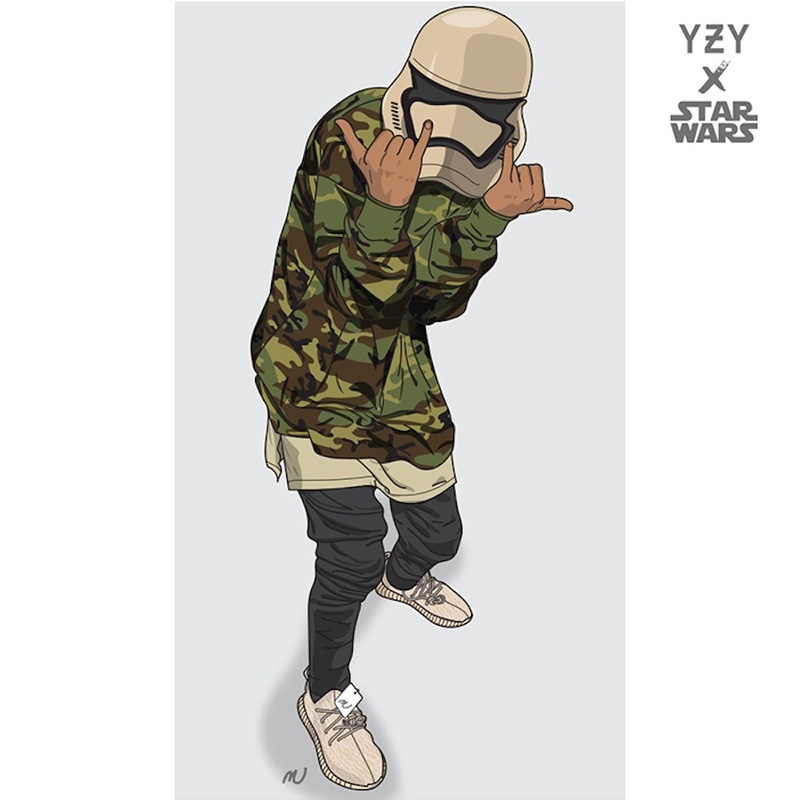 My first artwork of this kind was Cleveland Brown (Family Guy) wearing the Ian Connor outfit from the Yeezy Season 1 show. 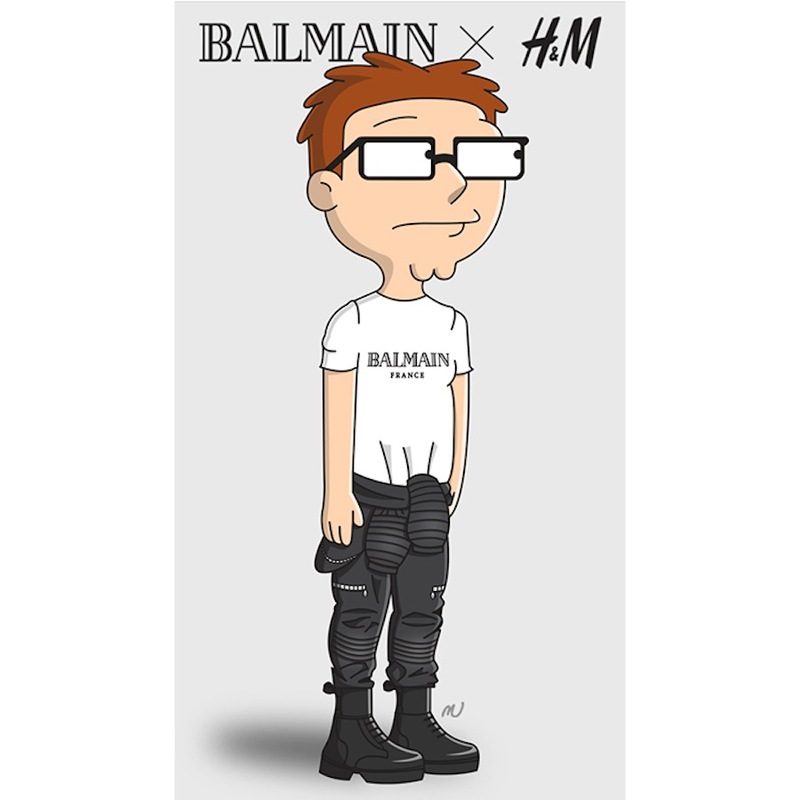 I don’t know why but I got this vision of Cleveland Brown wearing this sweater with these oversized sleeves and I thought it could be funny to make it, this is how it started. 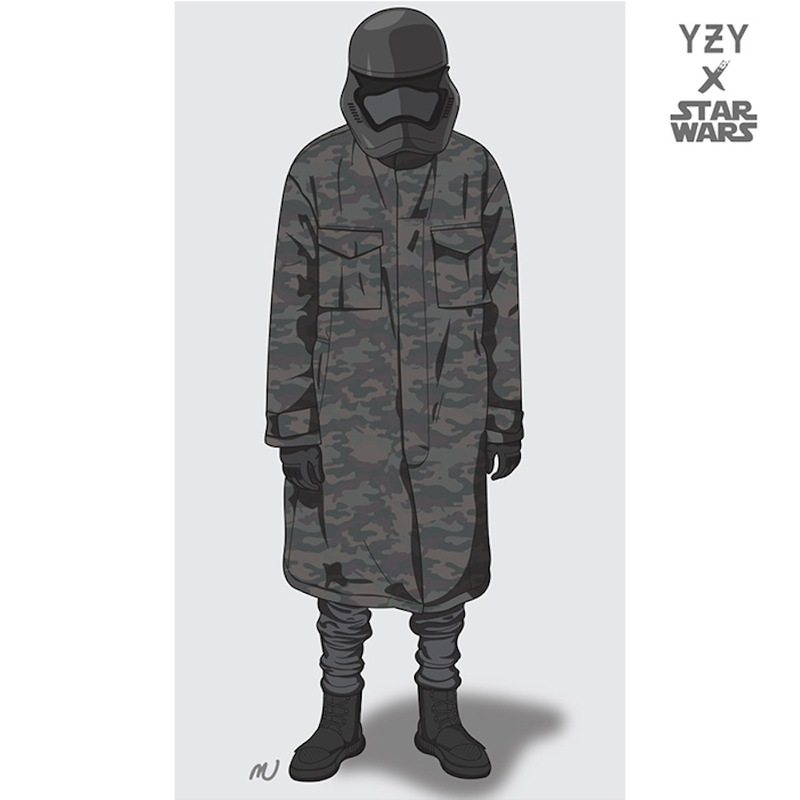 TWOTF: What are you saying (if anything) about the fashion and sneaker scene with your work? Mikadololo: I’m not saying anything in particular, I just draw clothing that I can’t get, and by drawing it it’s somehow a way for me sto touch it and to own it. 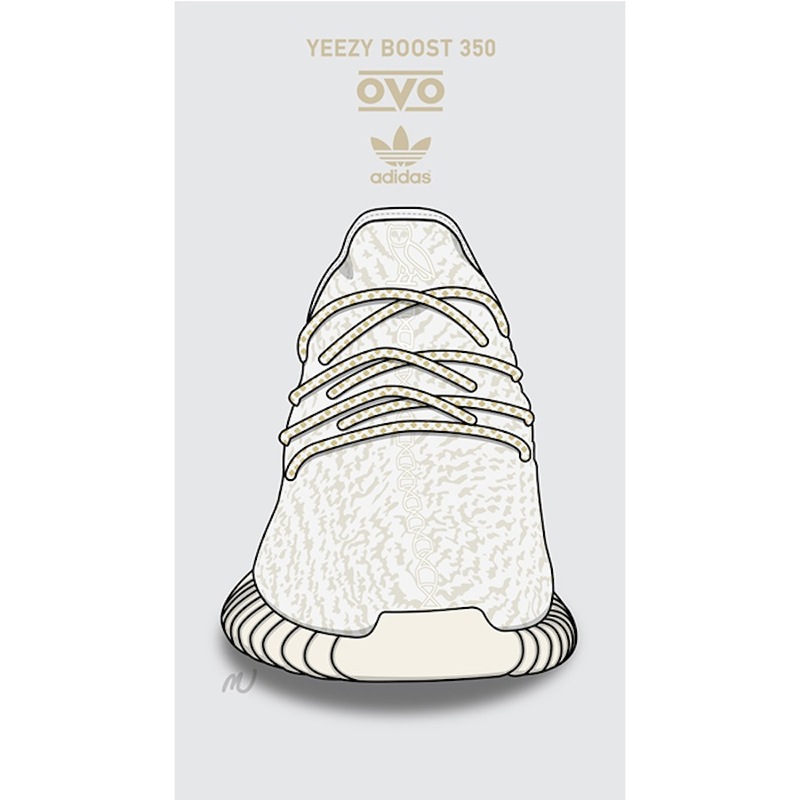 TWOTF: How can we get our hands on some prints? 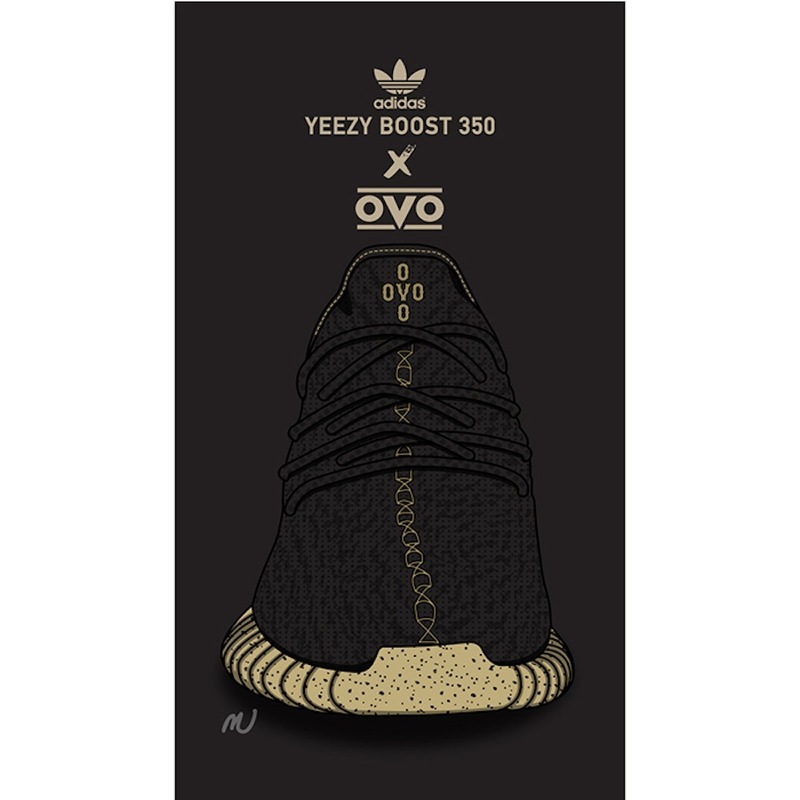 I will have soon the YeezyTrooper prints available and also an OVO pack, with sitckers and a collection card that I have made, mainly for Drake fan cause I’m a Drake fan myself, but limited to just 12 packs ! Mikadololo: More inspiration, more prints, and collaboration with other artists would be great. I will keep doing this kind of work for sure! And I have some ideas for some 90s characters so watch out for those coming soon!